You are looking for the best ideas how to spend your birthday, jubilee, anniversary, engagement? Or just for another good way to spend your free time? Escape rooms are a modern and fun solution that will definitely interest you! The escape rooms– or the so-called„rooms to escape“, originate from Asia and are an absolute innovation from the dawn of the third millennium. Initially, they were invented as avideo games paradigmin Japan in 2004. In 2007, the Japanese manTakao Kato and his company SCRAP, launched a project to create the escape rooms as a game in real life. This game has gained much popularity, as today it is famous all over the world. Some of the puzzles only can be solved in a team, i.e. if two or more players work together, so the good communication is of great importance. This makes them the ideal activity for a non-boring teambuilding. By gifting the„escape room“experience to your employees and associates, you will help them todevelop their problem solving skills,as well as their logical, creative and outside the box thinking. Furthermove,you can be sure that this time most of the people will be really satisfied by the teambuilding and they...will remember it. There is one more thing:escape rooms have that particular ability to bring people together. This is very useful especially for newly formed teams or for big organizations whose employees work online from home or from multiple office locations in different places and even in different countries. If your case is such, then the escape room will be very useful for building relationships in the workplace, even forthose employees that are rather shy and introvert. Another great idea for big companies is to make the teambuilding in the escape room as an exciting competition, and to offer an attractive, though symbolic, prize for the team which solves the puzzle most quickly and which ranks first. 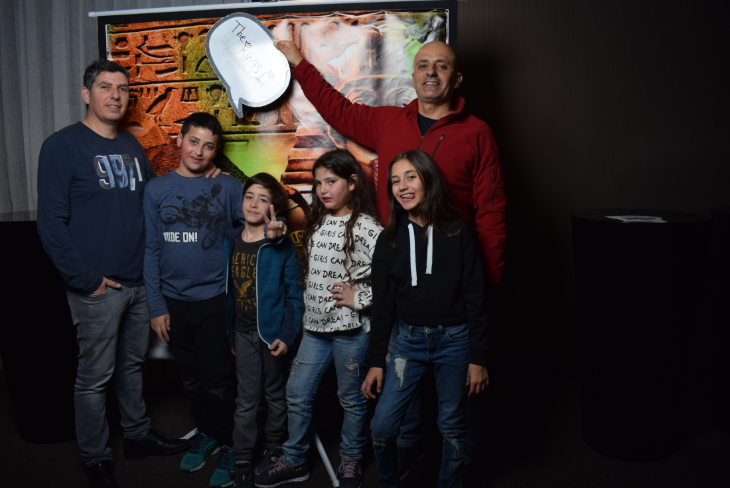 The visit of an escape room is great family fun especially forChristmasor forthosebirthdays when we have to think of an activity that will appeal to both your children and you, and even to your parents. Moreover, there are escape rooms that are specifically designed for the children‘s audience. The beauty of the escape rooms is that in practice no one can remain indifferent to them. You can even start your bachelorette or bachelorparty in a great way with an escape in the escape room. In addition to the great fun, this is one of the best ways to stopthinking of the upcoming events and to release the tension. And whether you personally would find it fun or not, there are many, dozens, even hundreds men all over the world who proposed to their girlfriends in the escape room. But even without a special occasion the escape rooms are a great way to have fun in your free time. Whether you choose to visit it with a big company, a friend or with your partner, or even alone, you will be divided into teams according to the requirements ofthe scenarios. Typically,players are divided into groups of four or more people. If you have never been to such a room before, you can be sure that you are about to experience unique emotions during your first game. Most often, the game starts with a review of the rules and instructions, then players get their scenario. The actual game can last up to an hour, but it also depends of the time that your team will need to escape. It is best to be emotionally prepared that you will most likely have the feeling thatthese 60 minutes of your life flew for a moment. This should not be a surprise to anyonebecause we all know that time flies when we are having fun. Typically escape rooms are at least a bit scary, and this cannot be any other way because the very nature of the game requires it. Yes, it is true that most of the stories or themes include some mystery. But the concept of the rooms is separate from that of the houses inhabited by ghosts. But the desired effect here is not to make you scream. The sinister elements will help you only to be more focused in the game. Be sure that a “ghost” won’t come to scare you. 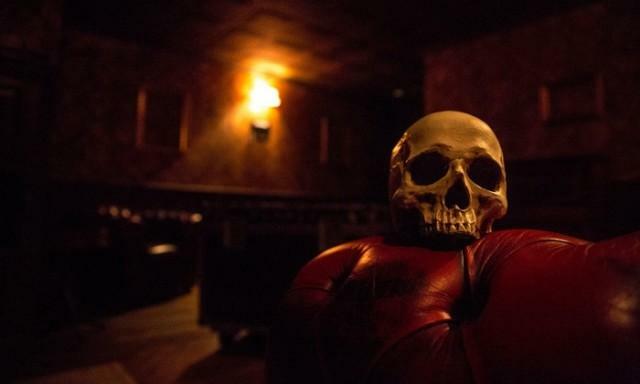 So even if you are a person who hates horror movies, there is no need to hesitate whether to visit an escape room. Rather,the sense of fear reminds of something like an internal tickle caused by the very thrill of knowing that you arein a closed space. We can’t go out of there if we do not properly execute the specific series of tasks and instructions, as all is combined with the gambling flavor of the „profit“ – if we can actually find the way out within the determined time period. Most people welcome and even purposefully look for these scary notes and adventurous spirit. Unfortunately, in many cases, people suffering from intense claustrophobia, do not get much fun from the experiences in the escape rooms. Some of these people prefer not to be exposed to the riskof a serious panic attack during the game. Considering, however, that the escape rooms are not exactlyclosed, narrow spaces, so rather trustyour individual intuitiion if you belong to the risky group. In some cases, escape rooms are not really locked, because the purpose of the game is ultimately fantastic. 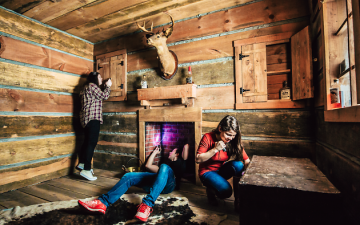 Whether you are fearless seekers of intense sensations or you are entering the escape room slightly trembling with excitement,you can be completely calm that you won’t get hurt. All secret entrances, exits, challenges and artifacts, hidden in the escape rooms, are alwayssecured by professionals, so your health and safety are guaranteed. The operators managing the video surveillance systems are supervising the game and they are there to make sure that everything will be alright for the players, as well as tohelp them solve the various tasks. In addition, the escape rooms are almost entirely based on puzzles and riddles that can be solvedby means of logical thinking, teamwork and overall commitment to mental capacity and not physical abilities. Still, wear comfortable shoes and clothes. At the same time, the puzzles that you will face, though complicated and entangled, and so exciting as a result, are absolutely solvable by a person with an average level of intelligence.Surely no one will want to put a lot of physical effort to reach the ultimate goal, nor you will face„traps“of unsolvable complex mathematical equations or something similar in order to find the way out of the room. Have in mind that it won’t be easy, so it is advisable to make sure you feel comfortable in order to be able to concentrate. 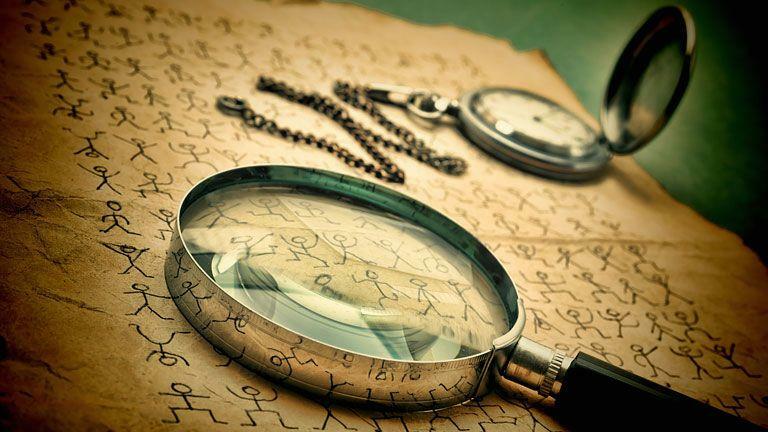 A big part of the excitement that we feel when we visit an escape room is due to the puzzles that we face.If these mysteries were easy to solve, what would be the point?